First day BaselWorld and it rocks. 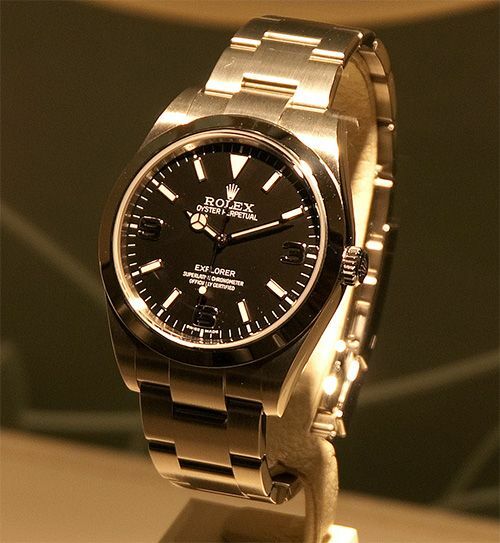 Where everybody was waiting for (or at least the majority) has become reality, a new Rolex Explorer. This 39mm is a beauty! Sorry for the bad picture (of lot of them will follow), but in most cases I need to shoot through the display. This ref.214270 Explorer features a caliber 3132 movement. Make sure to follow my adventures over at the ‘FratelloWatches Says…’ forum @ WatchUseek.